Well.. since my TOTM feature is coming to an end and I mentioned my new tank in that thread, I thought I had better start a tank journal for it. 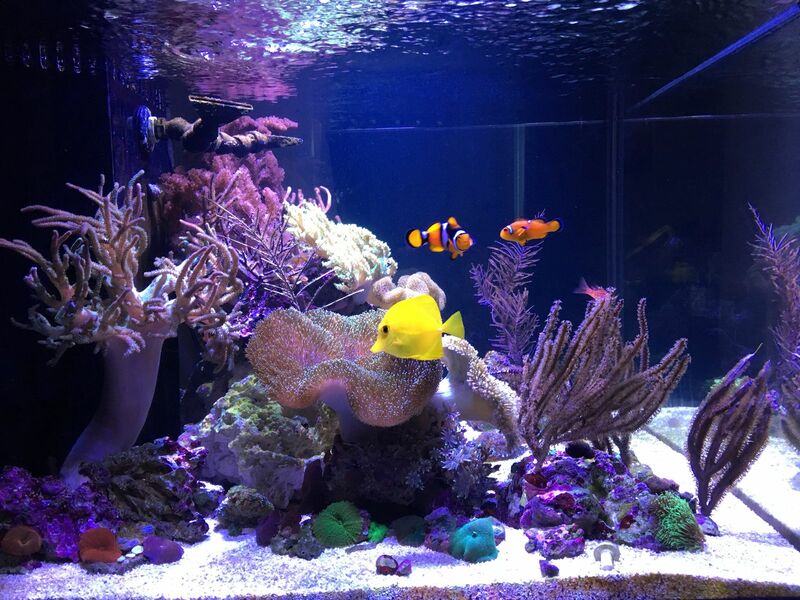 Early August a local reef keeper was shutting down his tank and selling off its livestock. 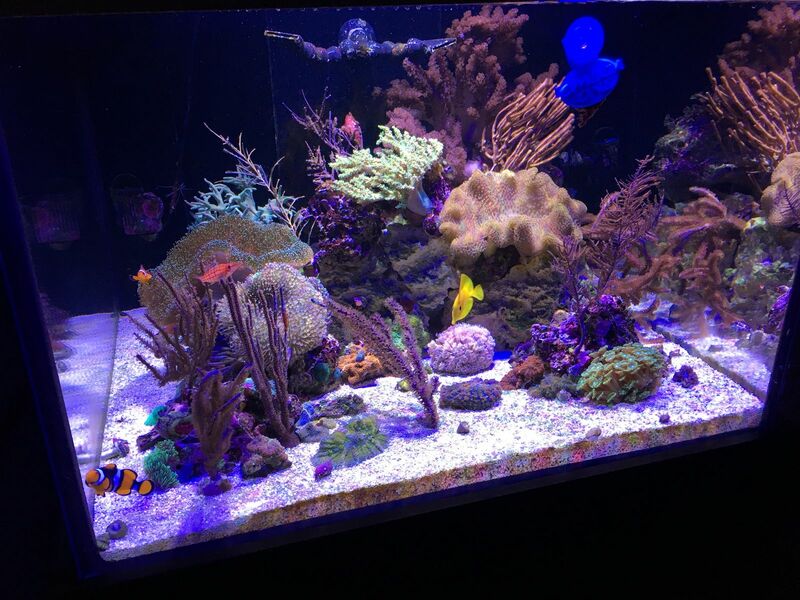 I went to go purchase some coral and as soon as I walked into his basement I was blown away by the beautiful 78g custom starphire tank he had. Wow. This thing was beautiful, I asked how much he was selling it for and the price was way out of my league but I never stopped thinking about it. After a few weeks of no other offers and negotiations, the tank was mine. As much as I loved my 40g and was sincerely planning on keeping it for a long time, I just could not pass up this tank. The tank was filled up on September 8th and I transferred the contents of the 40g shortly after. This will essentially be a continuation of the 40g in a larger form. Softy focused, lots of gorgonians, easy to maintain. 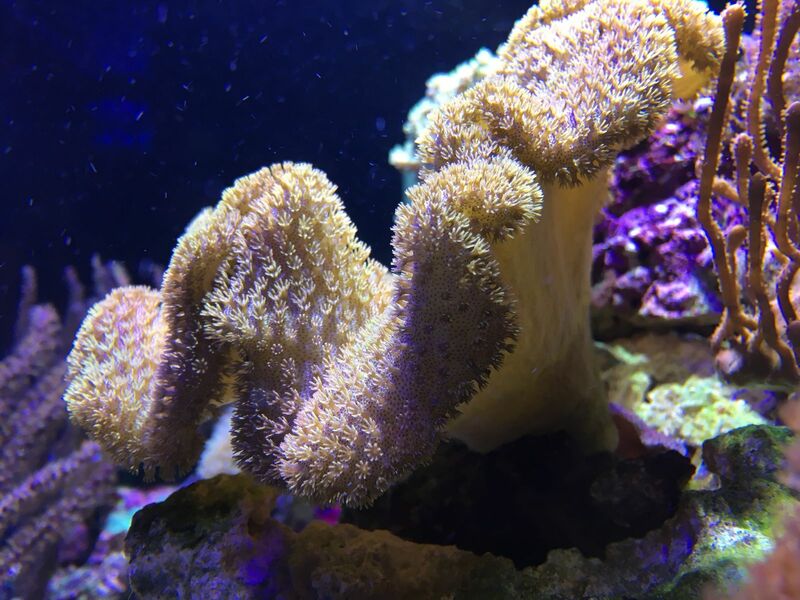 Once I had the tank and stand all set up I added some freshly rinsed aragonite and about 30 pounds of dry base rock, once I was happy with the scape and the tank was about 50% full of new water, i transferred all the existing water, rock, and livestock from the 40g. The 30x30 is such a nice footprint to scape and the depth made it nice and easy to work. The transfer went seamlessly with no losses. When doing a one day tank transfer like this I always make sure to use as much of the water from the previous aquarium as possible. During the set up of my new tank my lowboy lagoon was undergoing a fallow period and after some unfortunate vet bills I ended up having to shut it down, so a good portion of the corals from that tank have also made their way into this new setup, I do plan on putting the last survivor of that tank in here as well (gold spot rabbitfish) however he is currently undergoing QT and treatment from ich and velvet. Not going so well but I'll keep it up until hes nice and healthy. Anyway enough rambling im tired and want to sleep, A quick livestock list and a few pictures and ill post some more tomorrow. Now the one thing I am truly missing with this new tank is a sizeable refugium. The sump is a great design but really doesn't allow me to grow the type of macro I had in the 29g display fuge attached to my 40. Im playing with the idea of either bringing the 29g upstairs and attaching it directly to this tank, or setting up a new display fuge all together. The return pump does have a manifold already built in so I could easily plumb another smaller tank beside it. Gotta run it by the boss though as it is in our living/dining room area. I attempted to build a hood for the tank to keep the light contained but failed miserably, turns out i'm not great at that kind of stuff. 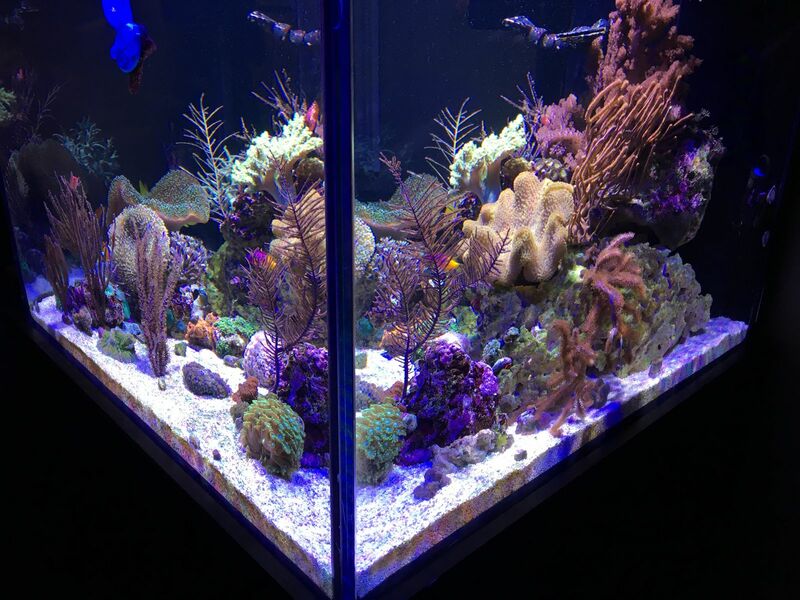 There is a guy locally that does wicked custom aquarium cabinetry so I contacted him and will most likely go that route. Rabbitfish is looking okay in QT today, most of the spots on it are fading away, potentially adding to display this weekend if all goes well. Out of curiosity, what settings are you running your radion on? Rabbitfish looked super healthy when I got home so he made his way into the display. As soon as I dropped him in the tank all the other fish flipped out but calmed down pretty fast actually. The cleaner shrimp went to work and was on him for a few minutes. Didn’t seem too stressed and I’m sure was just happy to be out of the 10g QT. Monitoring very closely. Pictures in the morning. 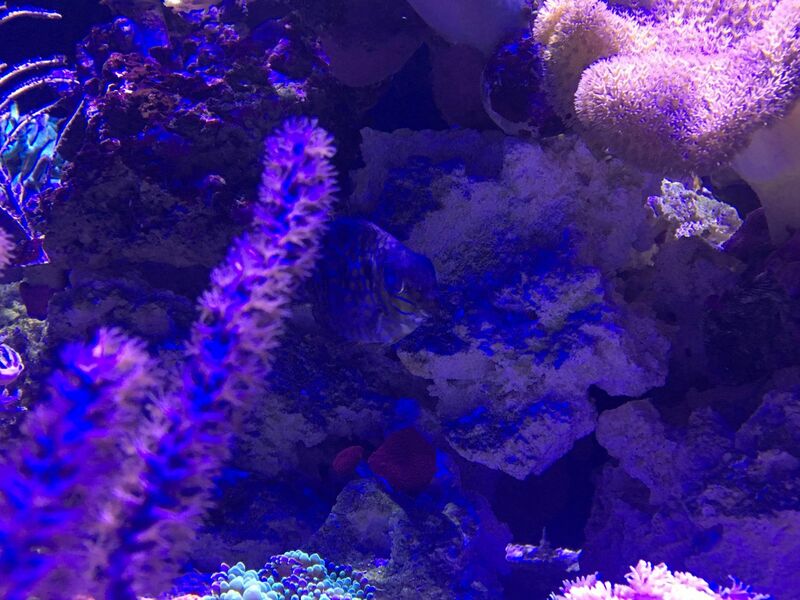 So so happy to have this fish in full health and somewhere I can see him. Such beautiful colour. Okay I built it up for nothing. Was annoying to manoeuvre around the return and manifold but he’s back in the display. Close call. Dig your cube and the hawk fish! 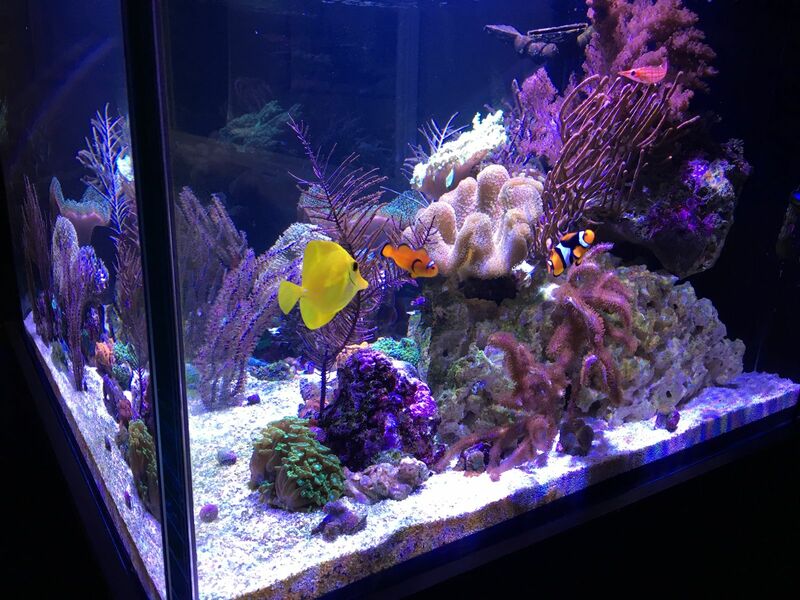 you never know how complicated it will be though, my orange back wrasse jumped into my overflow a few months ago... had to dismantle the plumbing in it and scoop him out by hand.... wasted 2 hours doing so. (he's now affectionately called the wrasse-hole).... and i put plastic wrap over that tiny hole between the overflow and the lid for good measure. 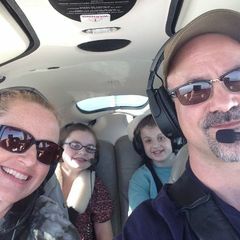 glad the hawkfish rescue went smoothly! they're entertaining fish! Thanks! They certainly are entertaining. So easy to photograph too. Here’s a video I made for YouTube. You can get a really good look of the tank. My lovely majano population has grown from 1 to about 20 in the past 6-7 months in this tank and the tank before it. 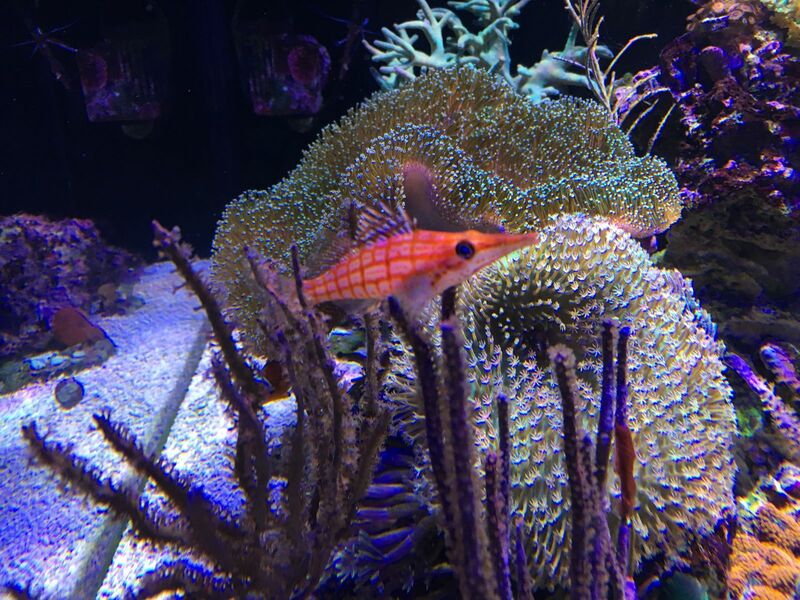 I added a filefish about a month ago to try and combat the majano but it only had a taste for clove polyps. One day I came home and it was stuck to the powerhead fighting for its life and that was that. Today luck is on my side. 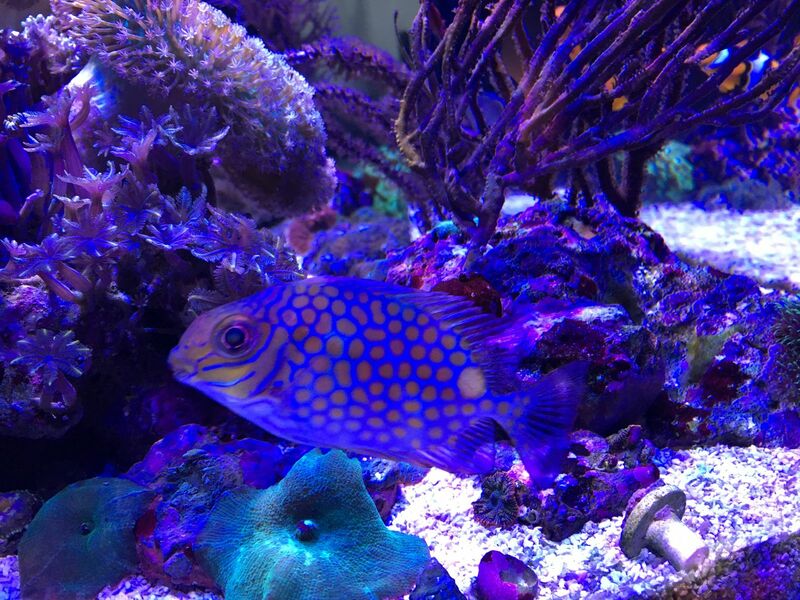 After only 6 days in the tank my newest filefish seems to have eaten ALL the majano! Now I'm going to leave it in the tank another week to make sure they are truly gone but I couldn't be happier. Going to try to trade him locally for a nice frag or something. Well done filefish, well done. Wow, somehow I missed all the previous posts and this new tank, although I knew you were upgrading. It's is fabulous and it's already filled up! That's insane that you had that much coral. Well done Sharbuckle. 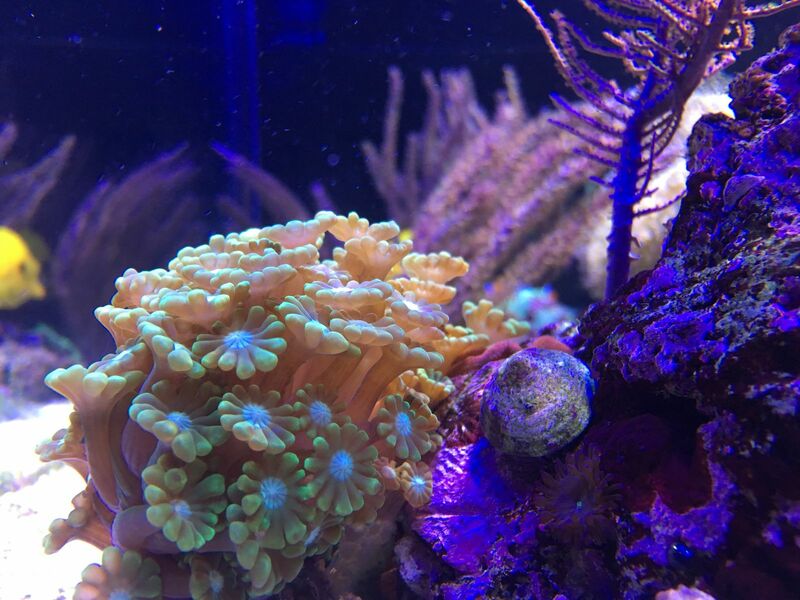 it is insane I had that much coral already, I can't believe about 90% of it was jammed into the 40g. However since I've moved it all over its exploded in growth and filled this tank in so nicely. im not sure i could even fit it all back into a 40g again. Seriously! It looks amazing on the new tank, its filling out so nicely. Do it! 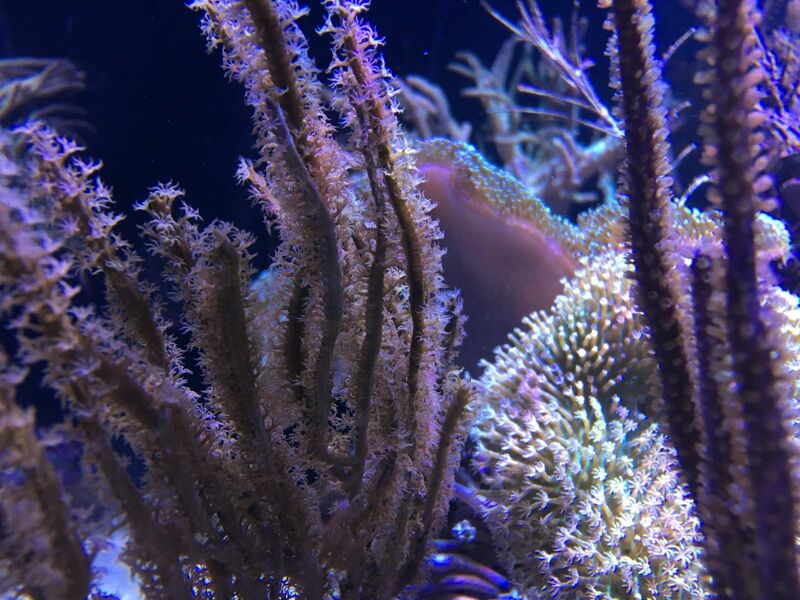 I think xenia would really compliment the corals that you have in there and fill in some spaces. 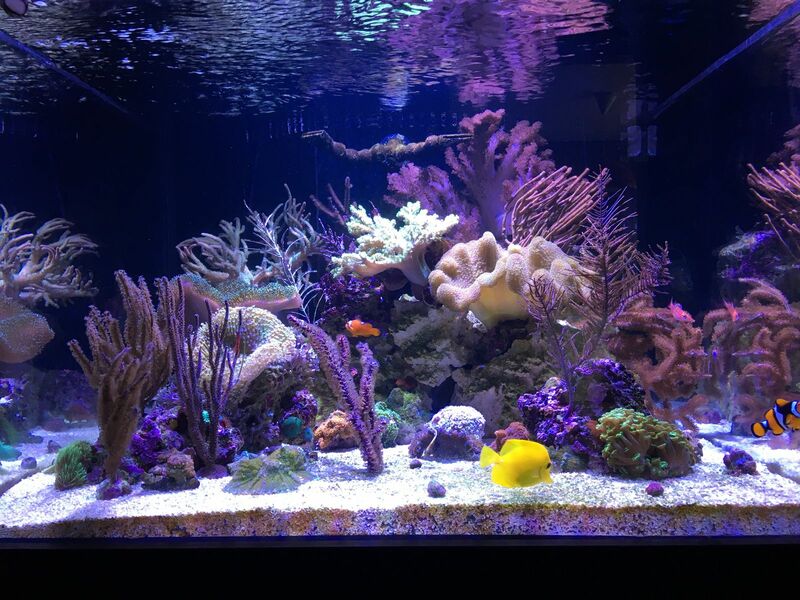 Did @dpoltsdsu's nano reef inspire you? I love how the xenia flows in his system. Love the 30x30” tank. Once my little tank is full and I’m wanting to upgrade my bedroom tank I’ll likely do a 30x30”. I think that is a wicked idea! 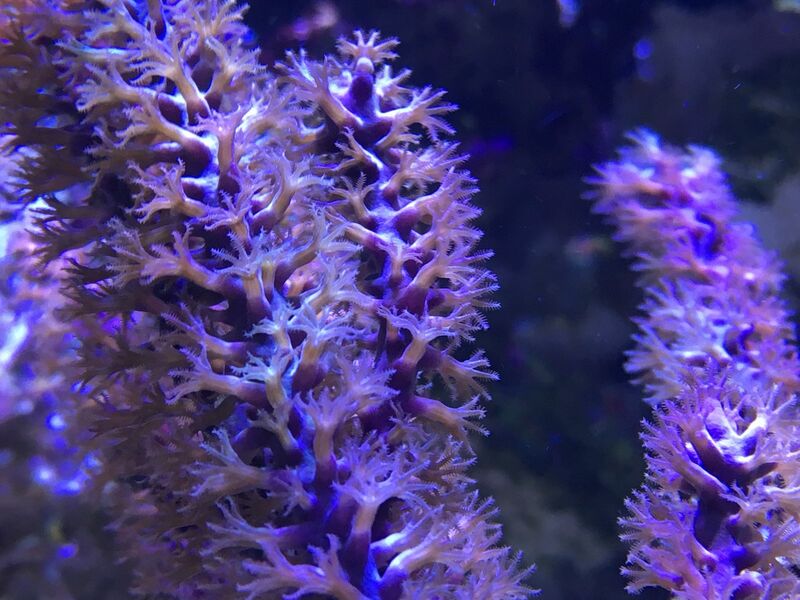 I have always loved Xenia- in my old 20 gal i had it all over the back wall and LOVED the effect. I think Christopher Marks was spot on as well- they'll compliment what you already have going on. Great looking tank! Like Morgan said I think you've got to have some sort of containment plan. 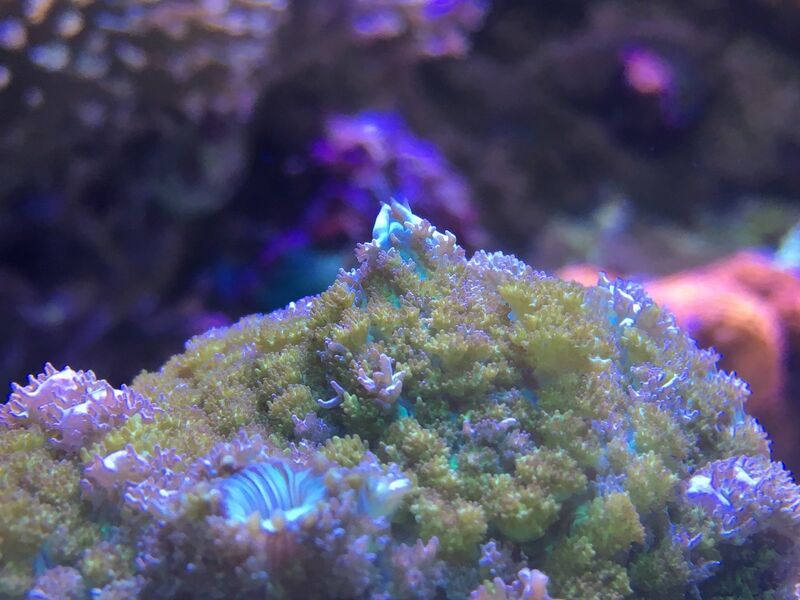 I plan on putting Xenia in my tank and want to make sure it's on an isolated rock on my sandbed that way it can't jump onto the main rock structure or glass.